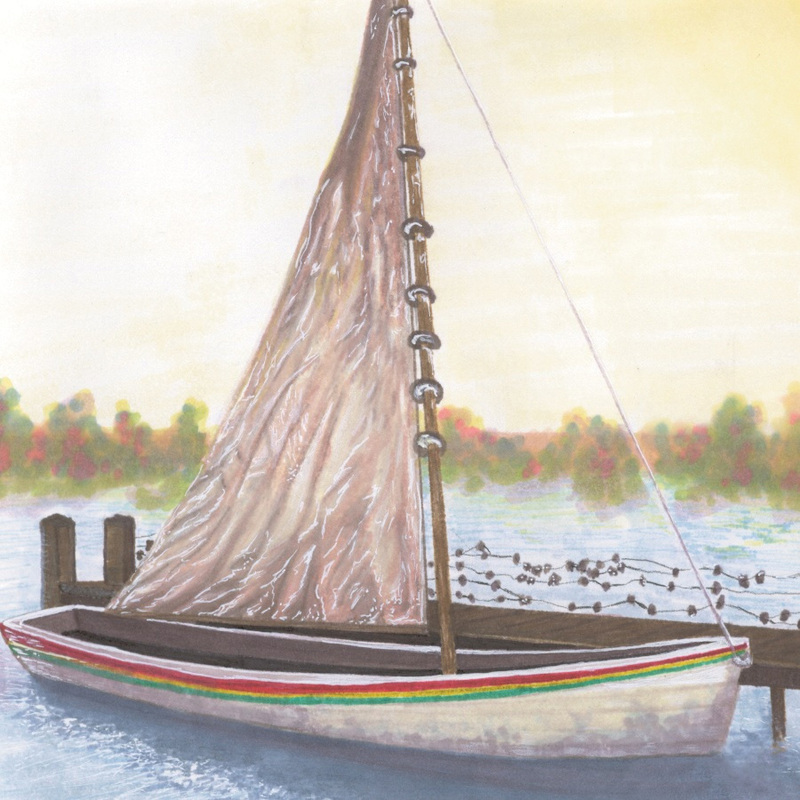 Illustration of Shad boat; image from North Carolina Secretary of State (fair use; educational, nonprofit). North Carolina designated the Shad boat as the official state historical boat in 1987. The Shad boat is a small sailing craft ideal for maneuvering shallow water and rapidly-changing weather conditions along the coast. Developed on Roanoke Island, shad boats are known for their unique crafting, speed, and easy handling. Construction of the Shad boat ended in the 1930's, but they were so well-built that some are still seen on the water, though nearly 100 years old!